With 91% smartphone penetration rate, the UAE is a digital leader regionally and internationally. Businesses in the UAE are making the jump, upgrading existing digital into a whole new level. The 4th edition of the ArabNet Digital Summit will gather on May 30-31, over 1000 leaders in digital business transformation, with an emphasis on Enterprise and Government in addition to Digital Media and Marketing. The GCC and MENA region at large are on board of digital transformation across sectors, with traditional sectors of the economy such as banking, retail and government, leading the way. According to a survey by advisory EY, almost half of banks in the GCC have a planned budget of between $5-$20 million over the next five years to enhance their digital capabilities. Around half of all organisations are already spending on digital technologies, with 48% of respondents in the UAE and 53% in Saudi Arabia actively investing in this sector (according to a survey by Accenture). 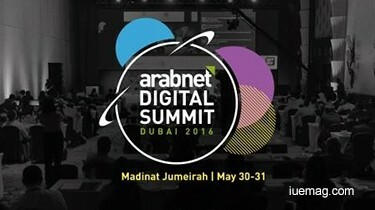 Some of the most important leaders of these digital changes will be coming to ArabNet’s Digital Summit on May 30-31, like guest speakers Rogier Croes, Chief Digital Officer at MEC Global; Stefano Maruzzi, Vice President EMEA at GoDaddy; Hannes Liebe COO of SAP MENA; Assem Hijazi, VP ICT & Smart city Division of Al Ahli Holding, and Jane Zavalishina, CEO at Yandex Data Factory; amongst many others. “Today's surge in ICT spending by organisations across the region is predicted to topple $260bn in 2016 as those in the Middle East, Turkey, and Africa embrace digital transformation initiatives” says Omar Christidis, CEO of ArabNet. The UAE government is heavily investing in key transformative and digital programs, in line with its position as a world leader - having ranked 3rd globally in 2014 in digital government performance, according to Accenture. The UAE is pushing strongly ahead, with its 2020 vision thanks to institutions and initiatives such as Smart Dubai that is aiming to make Dubai the smartest and happiest city in the world. As enterprises and governments invest heavily in mobile and social integration to improve efficiency, service and quality, digital business transformation is but a prerequisite to survival in a fast-paced digital world. Several UAE and Dubai government officials are also expected to join the conversation at the ArabNet Digital Summit 2016 which will be held on May 30-31 at the Madinat Jumeirah Conference and Events Centre in Dubai. Past ArabNet events have notably attracted top speakers, participants, and partners from corporations such as Etisalat, Souq.com, Du, Emaar, TBWA, Facebook, DMS, Majid Al Futtaim, JWT, STC, Twitter, Starcom, Criteo, SkyNews, VISA, Leo Burnett, Deloitte, LBCI, Microsoft, Uber, Vivaki, GE, MakerStudios (Disney), FP7, 500Startups, OMD, International New York Times, and many more.